I installed/upgraded my virtual machine to Windows 10, and now Windows Start Menu doesn't open up when I click on it. I have issues with Windows 10 overall performance. 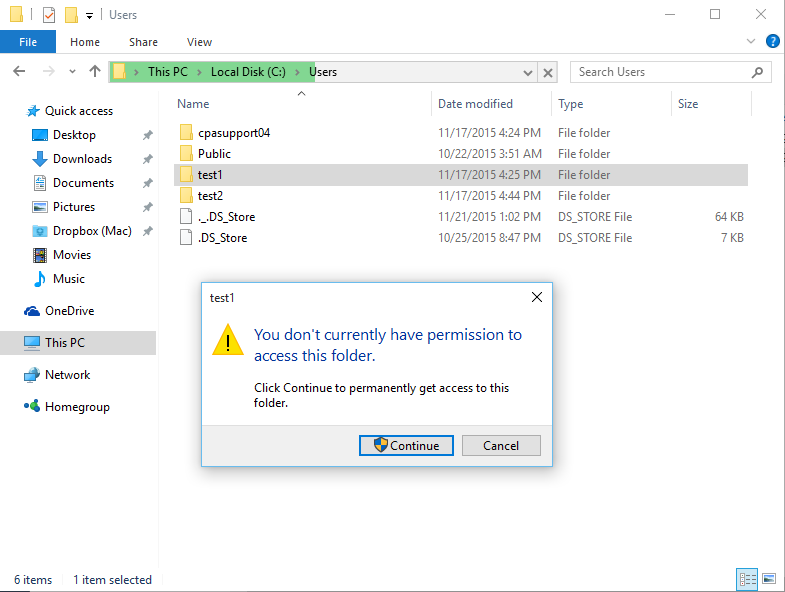 In Windows 10 virtual machine create two new local user accounts. Instructions for creating an account are available here. Sign in to each account, then sign out of all accounts. Sign in to one of the new accounts again. Open Windows Explorer and navigate to the following directory of the other new user account (not the one you're signed into). Open Windows Explorer and go to C:\Users double click on desired user and click Continue. Click on address bar (the one with green bar filling it) and continue to enter address from Step 4. Copy the contents of this folder into the equivalent folder of your main user account (which has issues). When finished, please sign out of the new account and sign into your main account. Check Windows 10 Start Menu, it should work. Delete the new user accounts as they are no longer needed.